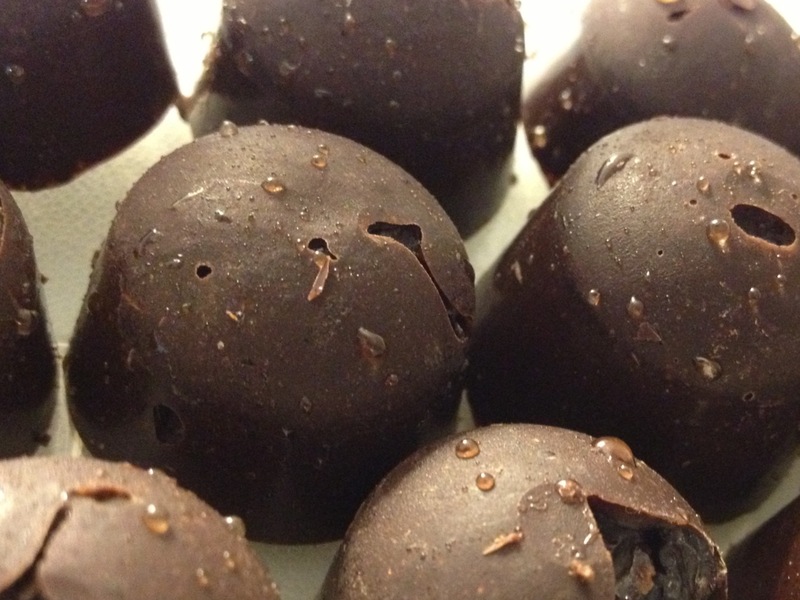 These chocolates are super simple to make. Either follow the directions below, OR put all ingredients in a medium sized bowl, stick it into the dehydrator at 105 degrees for 20 minutes, then whisk all ingredients together, spoon into small molds, or maleable ice cube trays, freeze, pop out and indulge in the glory that is Raw Cacao Love! Place cacao butter and honey in a small bowl and place in the dehydrator* to melt. Whisk together all dry ingredients in another medium sized bowl. Once the cacao butter and honey are melted together, remove from the dehydrator and slowly whisk in the dry ingredients until fully mixed. In a silicon/flexible mold (I use an ice tray from the dollar store with a pliable bottom), place a pinch of sea salt into each mold, or drop a raisin or 2 into the molds, and spoon in the chocolate mixture. Freeze for 45 minutes, then pop the chocolates out of their molds. Place into an airtight container and store in the refrigerator. To feeling alive!! *If you do not have a dehydrator, you can melt the cacao butter over a double boiler (bring a pot of water to a boil and holding another bowl over the boiling water allow the cacao to melt, removing the cacao from the heat every so often so it remains raw). Add the honey and whisk until they are both warm and smooth, then slowly whisk in the dry ingredients.